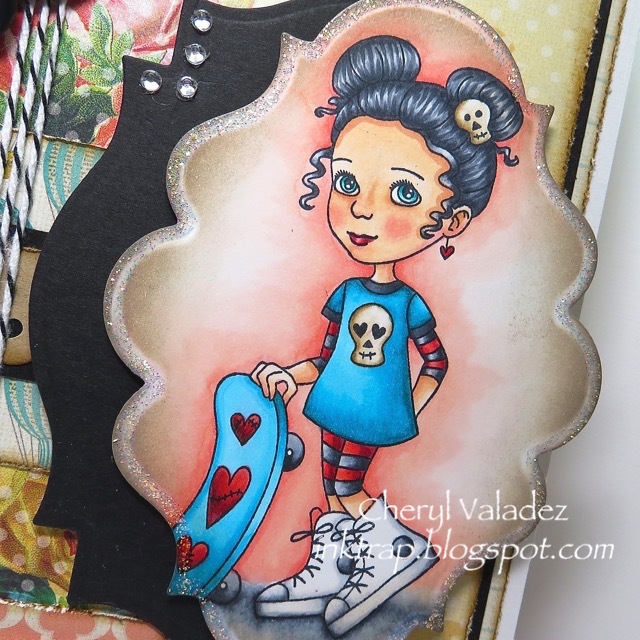 The Ink Trap: Celebration Hop for Susana's Custom Art and Card Design (SCACD)! Love these Cheryl! The way you use printed papers in combination with each other is wonderful. I struggle with that and just am amazed. So glad for the close up of the bee eye. Awesome job! Fabulous creations! Love both of the cards, stunning job with your coloring. Love the papers and the layouts. Very cool...that bee is awesome! I am so delighted that you dusted off your supplies and hopped along with us! Both cards are totally amazing. Your coloring and design skills are off-the-chart beyond wonderful! I especially love the shading on Be Fearless' face and the metallic look of the bees. Your use of die-cuts and the twine/button treatment is fantstic too! 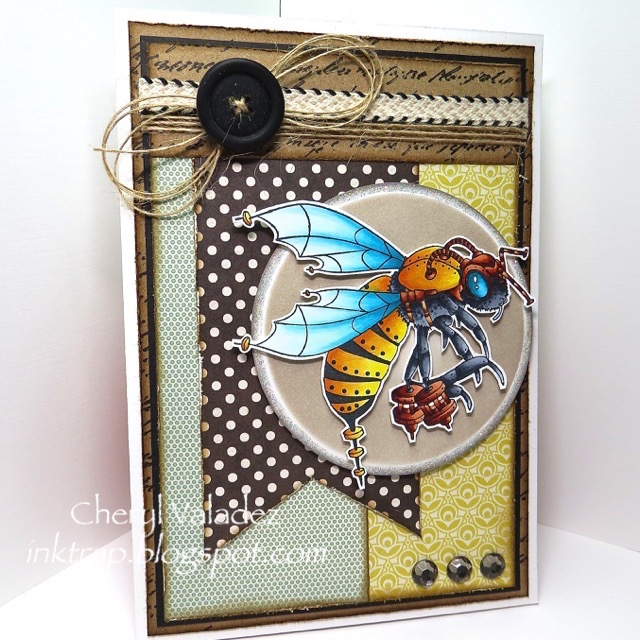 Love your cards and all the different paper choices that you combinded! Great job! Thank you for sharing! Beautiful - like always! Both pieces are wonderful - I love the way you put all of the elements and textures together to create these pieces. I am always fascinated by the way you color with Copics.